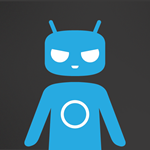 While Lollipop has been officially rolling out to several variants of the Galaxy Note 4, the team at Cyanogen has been busy keeping up with Samsung by releasing CM12 nightlies. Today, the custom ROM is available to one more variant of the Note 4 family: the European N910F. This marks the first time the N910F Note 4 gets official CyanogenMod support so there are bound to be bugs — obviously, this is still a nightly download. But if you're jonesing for an AOSP-like flavor of Lollipop on your European device and you're already rooted with a custom recovery installed, you're only a 257MB download away from getting your fix.